The Chop is a longtime lover and admirer of the Great Outdoors. Not like hills and forests and all that crap, but we like sidewalks a lot. We’d rather climb a rooftop than a mountain, and rather cool off in an open fire hydrant than some crummy lake. (People pee in lakes! That’s gross!) We’ve been noted as one of the area’s preeminent urban outdoorsmen, which mostly means that we like drinking outside. It’s for this reason we’re so excited that the Baltimore Chapter of Drinking Liberally will be meeting at the Laughing Pint tonight, and availing ourselves of the outdoor tables. Beer always tastes better when it is drunk en plein air, and Democracy is always the more the merrier, so consider yourself invited. Just look for the big red, white and blue bottle on the table. Baltimore's Drinking Liberally meets at the Laughing Pint tonight. 7 pm. We’ll be even happier when the meetings move back to Joe Squared, because we can easily walk there. In fact, we can walk to a lot of our favorite places and that’s exactly what we’ve been doing lately. We’ve only been averaging two car trips a week, and those being short ones, which is quite handy since gas is going to be SIX DOLLARS A GALLON very soon and forevermore. Let’s talk about that for a minute, since with congress on Spring Break it’s one of the very few political stories happening at the moment. What is causing high gas prices? Well, what caused the fall of Rome? What caused World War II? What’s causing global warming? There’s no one thing you can point to to blame for the increase in gas prices. There’s not even any six things. It’s not Obama’s fault, not the refiners’ fault, not OPEC, not Wall Street, etc. It’s just the way of the world. The truth is that we’ve been overdue for six dollar gas for about a decade or two. We got (and get) a lot of free and cheap oil from the Kuwaitis, but not even that is a permanent solution, especially when it’s all burned up by humvees and jets in our other blood-for-oil adventure, which so far has netted us zero free barrels, and is unlikely to anytime soon. So six dollar gas is going to be a fact of life, and we’re all just going to have to get used to it. If we sound a little smug about that, well, we are. We live in the city and like to walk. We’re even going to buy a bicycle when the time is right. We don’t even commute to work. When six dollar gas arrives, we’re fully prepared to put our shoe leather where our mouth is. We’re serious, and we wish everyone else was as well. 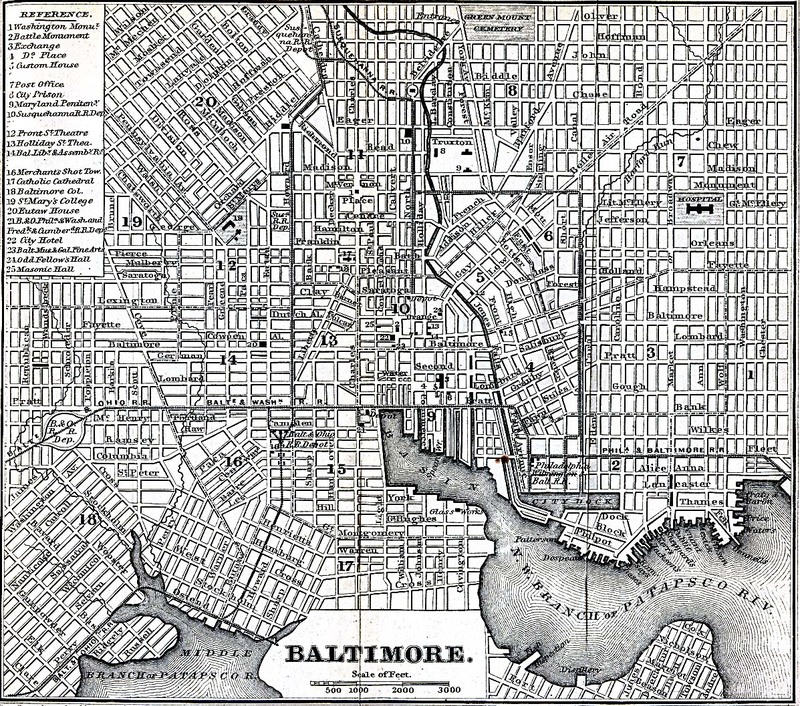 In the last few years in Baltimore we’ve seen a number of incremental improvements for car-free living. We have a Bike Czar now, new lanes and trails for cyclists, a Charm City Circulator, the MTA’s Charm Card, zipcars and the Red Line plan, which is coming- like it or not. None of these things are perfect, but as more people gravitate toward them with the rise in gas prices, they’re all bound to improve. Perhaps the best part about the change that’s gonna come? We can drink. Liberally. After all, we’re not driving home.